Sally Baker is a researcher working in and around issues of equity in higher education. 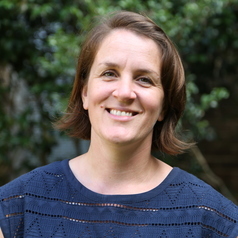 Her research interests include language & literacies, transitions, enabling education and supporting students with Language Backgrounds Other Than English (LBOTE), and Humanitarian Entrant Backgrounds in particular. Sally has extensive experience of teaching English for Speakers of Other Languages and writing tutoring.